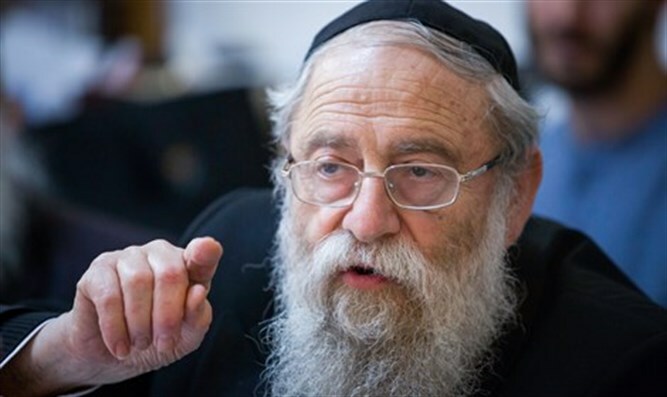 Jerusalem Chief Rabbi Aryeh Stern compared the desecration of a Jerusalem synagogue overnight to Nazi attacks on Jews during the Holocaust, and called on Israelis to publicly protest the vandalism. On Tuesday morning, residents of the Kiryat Yovel neighborhood in Jerusalem discovered that the Siach Yisrael synagogue, which is affiliated with the neighborhood’s French immigrant community, was vandalized overnight. Torah scrolls were found vandalized on the floor, along with a number of prayer books. The Tzohar rabbinic organization also issued a formal condemnation of the incident and calling for the need to “educate about the dangers of intolerance”. Earlier on Tuesday, Israel’s two chief rabbis responded to the desecration of the synagogue. Rabbi Yitzhak Yosef, Israel’s Chief Sephardic Rabbi called the incident an ‘outrage’.